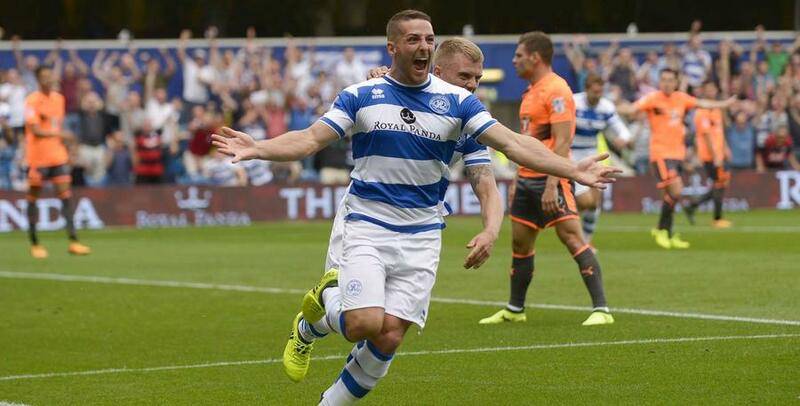 QPR v Reading - Sky Bet Championship - Saturday, 5th August 2017 - Loftus Road! RANGERS got off to the ideal start at the beginning of the new Sky Bet Championship campaign, as Conor Washington’s double helped overcome last season’s losing play-off finalists. 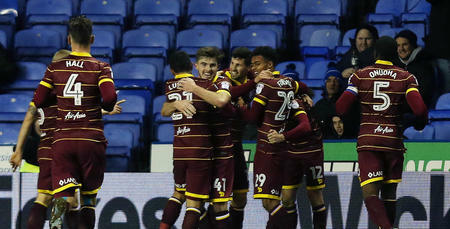 Ian Holloway’s men executed a pressing game-plan to perfection, with Washington finding the net either side of the break to spell defeat for 10-man Reading. The striker scored his first goal in the 22nd minute, finishing off a fine team move with his head from all of three-yards out. 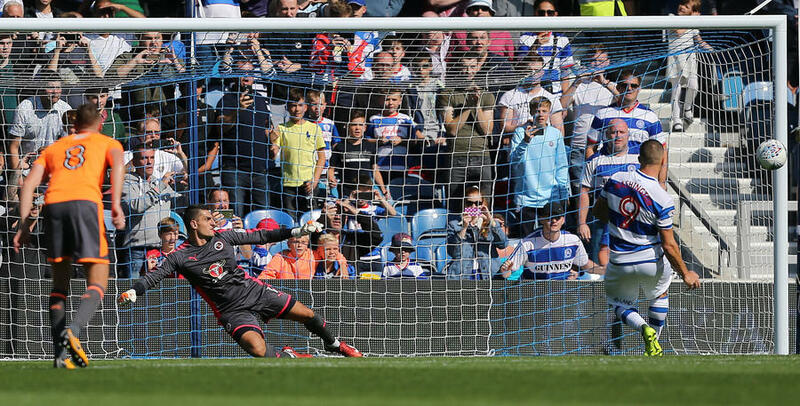 And when QPR were awarded a second-half penalty – and Reading’s Tiago Ilori was then shown a straight red card for his foul on Pawel Wszolek, who was the last man, in the box – Washington stepped up to seal the win. Rangers - who handed a league debut to summer recruit Josh Scowen – were quick out of the blocks. Indeed, less than two minutes had been played when Royals goalkeeper Vito Mannone was forced into a fine reaction stop on his competitive bow for the visitors. The Italian tipped away Washington’s 18-yard snap-shot, after Jamie Mackie capitalised on a misplaced pass. The R’s started well, but Jaap Stam’s Reading also looked dangerous on the counter attack early on. In the 12th minute, Ilori fed Jon Dadi Bodvarsson with a pinpoint ball over the top of the home defence, before the Icelandic ace’s subsequent looping effort from just inside the box dropped onto the roof of Alex Smithies’ net. The opening stanza made for an extremely-exciting, end-to-end spectacle and, in the 22nd minute, the Loftus Road faithful were able to toast seeing their team take the lead. It was a quite splendid move that allowed Washington to head home at the far post. Super skill from Luke Freeman down the right enabled Wszolek to eventually send over a dinked cross – and there was the Northern Irish international to nod in at close range. Lift off in W12 and, just minutes later, it really should have been 2-0. Jake Bidwell’s distance pass put Mackie in the clear, before he combined with Wszolek and Freeman for the latter to shoot agonisingly wide from 12 yards. QPR went mightily close again in the 36th minute – denied by only the foot of the right-hand post. Initially, it was superb control from Mass Luongo, who took Scowen’s pass into his stride. And when the Aussie’s resultant, low 16-yard effort looked in all the way, the woodwork intervened to keep Rangers out. 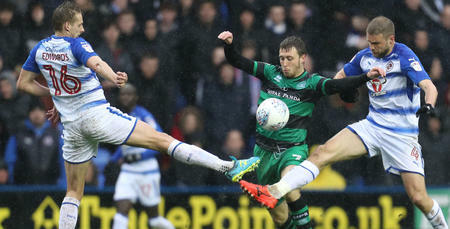 The R’s went in at half-time wondering how they were only a goal to the good – especially after Washington spurned another golden opportunity to extend the hosts’ advantage, five minutes before the interval. A weak back-pass put the former Peterborough United man through on goal. But he couldn’t take advantage thereafter, blasting and high wide from 12 yards as Mannone rushed out of his goal. It didn’t take Rangers long to go close once more at the start of the second period. This time, it was Freeman who again threatened to add a second, as his 20-yard blast flew only inches over. The Hoops were then almost punished for not taking a whole plethora of opportunities come the 53rd minute. A misplaced pass eventually led to Bodvarsson having a free hit from 14 yards – but he was denied thanks to an outstanding one-handed save from Smithies, who then took hold of the loose ball. If they needed one, this was a strong reminder to Rangers that they probably needed to take another of their chances. However, much to the relief of the home crowd, the R’s eventually added a second from the penalty spot on 59 minutes. Reading were also reduced to 10 men after Ilori, who tugged back last man Wszolek in the box, was sent off when he was adjudged to have unfairly halted an R’s break. There was a long wait between the penalty award and the actual kick but, when it was taken, Washington kept his cool to send Mannone the wrong way and double the lead. Not content with their now-two-goal advantage, the R’s then went about registering a third. In the 67th minute, Luongo headed Bidwell’s hanging cross straight at Mannone while, two minutes later, Freeman shot into the side-netting when the angle was tight. As the clocked ticked down, unfortunately two-goal Washington was forced off with injury in the 81st minute – being replaced by Idrissa Sylla. Hopefully that injury isn’t too serious and Washington will be fit to help Rangers continue their winning start next week – that after Holloway’s charges successfully went on to complete their opening-day victory at Loftus Road. Two-nil to the Super Hoops. 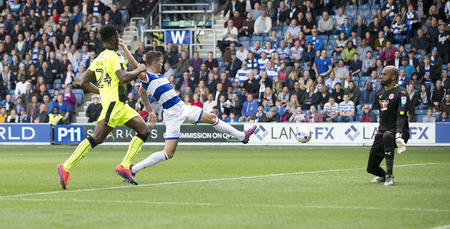 HIGHLIGHTS from QPR's 2-0 win against Reading at Loftus Road in the Sky Bet Championship.